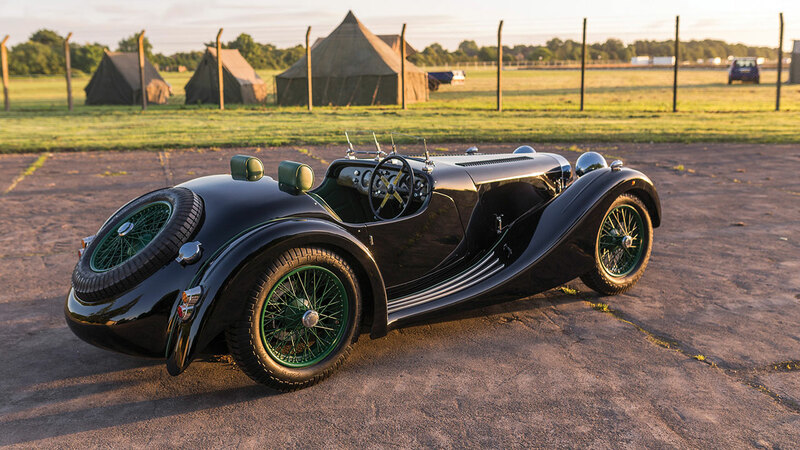 Visitors to Concours of Elegance 2016 – held at Windsor Castle from 2-4 September – will have the opportunity to see the reawakening of an icon, as Atalanta Motors debuts its first completed model since 1939. Established in the 1930s, and with only 21 models produced before the outbreak of war, Atalanta models were amongst the rarest and most technically advanced British sports cars of their day. The car at Concours of Elegance is the latest version of a new, modernised Atalanta range that stays true in spirit and design to the original. Using a traditional aluminium over ash construction and with a light but powerful four-cylinder engine, the updated Atalanta has all the timeless appeal of the original. The Atalanta joins sixty of the world’s finest cars at Windsor Castle from 2-4 September in celebrating the incredible history and craftsmanship of the motorcar. As with many of the main Concours cars, coach built by the likes of Zagato, Pininfarina, Saoutchik and more, the modern Atalanta can be coach built and personalised to the exact wishes of the buyer. Concours of Elegance takes place between 2-4 September and has partnered with a series of other exclusive brands for the event, including AIG, Autoglym, Bentley, Ferrari, Jaguar Land Rover, Octane, RM Sotheby’s and the Royal Automobile Club. Tickets are available now from concoursofelegance.co.uk, with an adult ticket costing £40, and discounts for children. A variety of hospitality packages are also available.